I'm coming off a pretty cool Tuesday, I have to say, so writing this week's Waiting for has taken a bit of a back seat. Not to worry, though, because yesterday's Awesome is, well, it's pretty awesome. However, just because I enjoy being cryptic, all I will say about Tuesday is this--I got to interview my favorite wrestler of all time. Now, I can't say who it is, or what we talked about just yet, but you can bet that I will post the link to the story here as soon as it goes live! I found out that I would be doing the interview when I walked in the door yesterday morning, and I was told that the interview was scheduled for 2:00. I was elated. Super-excited, even. And for people who know me, those are two things that I never am. Not to fear, though, as that old familiar feeling crept in a little later on in the day when I started to get nervous. Once I warded off that particular bout of crippling anxiety, though, it was time...for lunch. So I ate lunch with a buddy and got back to the desk with plenty of time to wallow in my nervousness. But then something funny happened. I got in the room and I wasn't nervous. I got through the interview without making a complete jerk of myself (or, as they call it in the wrestling business, without being a total "mark"), and I even made the interviewee laugh, thus reinforcing my existence on this planet. When I post up the link (once the article goes through edit), I'll get into it more, but this wrestler was/is my all-time favorite performer and I grew up watching him. Getting an opportunity to talk to him at a show or an autograph signing would have been a big deal, but being able to talk to him in a professional capacity today was a real thrill for me. Anyway, more on that later. Right now, let's get into the comics, as that's kind of the point of this feature. 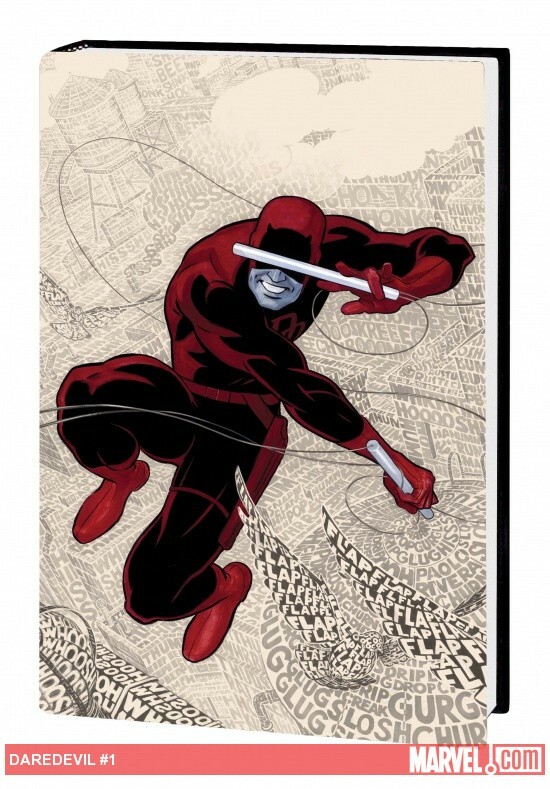 I have a few single issues on the list for today, but the book I'm most looking forward to picking up is the hardcover collection of Mark Waid's and Paolo Rivera's and Marcos Martin's excellent Daredevil relaunch from Marvel. This is, in my opinion, the best superhero comic book on the stands today. Personally, I don't think there's anything in the past year that does the job better than Waid and Rivera's new-old take on Daredevil. I use that confusing description not because I'm a bad writer (that's only part of it), but because Waid's story introduces us to a lighter DD than we've seen in...well, in forever. Since Frank Miller dragged ol' Matt Murdock through the ringer in the 1980s, all previous writers have done essentially the same. Since that seminal Miller run on the book--which I still hold up as some of the very best comic book storytelling of all time--Daredevil has found himself in desperate situation after desperate situation. And while that's made for some seriously good stories over the years, it just got to a point where all that darkness was too much to take. So Waid and Rivera and Martin dragged the 'Devil out of the dark and into this new series, where we actually see Matt Murdock *GASP* smile! He also fights crime and acknowledges past tragedies and keeps in complete accord with decades of continuity. As such, these first six issues are some of the very best comics of the past decade. THE DEVIL IS REBORN. RENEWED. RESURRECTED. With new enemies, new friends ... and that same old "grinnin' in the face of hell" attitude, the Man Without Fear is back in action and leading with his face! Mark Waid (AMAZING SPIDER-MAN, IRREDEEMABLE, RUSE) joins neo-legendary artists Paolo Rivera and Marcos Martin for a new spin on Daredevil that will leave you gasping for air. Having turned his world upside over the past several years, Matt Murdock realizes that justice may not be blind to his past and villains may not be the only ones looking for answers. Bring it on. if Matt Murdock could see what he was doing ... he'd be terrified. Now, am I prone to exaggeration? Absolutely. But in this case, lots of other people agree with me (IGN called it 2011's best new series, so there). If you're new to the character, pick this book up. If you've drifted away from the character in recent years due to the excessively depressing situations Matty found himself in, pick this book up. If you like comics, pick this book up. Just...trust me. Good comics are worthy of wide audiences, and in a year that has seen some big-time negative reaction from a fan base tired of events and cross-overs, this new Daredevil series is a welcome relief, and one that proves that even "corporate" comics can have a soul. With that, I'm back on the job. But before I head out--what are you Waiting for?